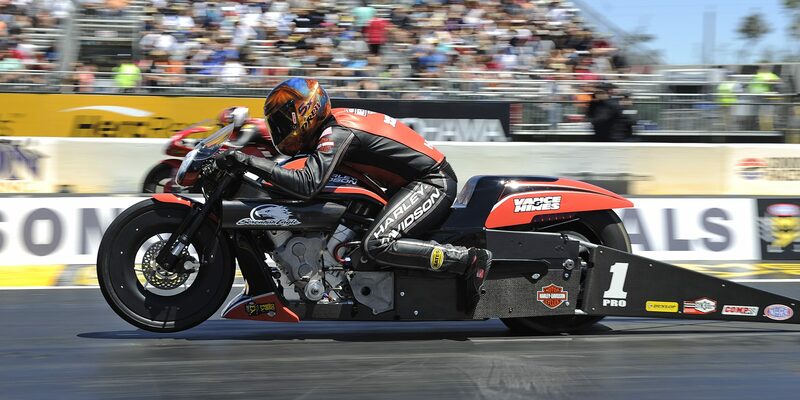 Andrew Hines finished atop the Pro Stock Motorcycle qualifying order with a 6.825 at 196.50 on his Screamin’ Eagle Vance & Hines Harley-Davidson in his first pass on Friday. He locked down his 39th career No. 1 qualifier and first of this season. 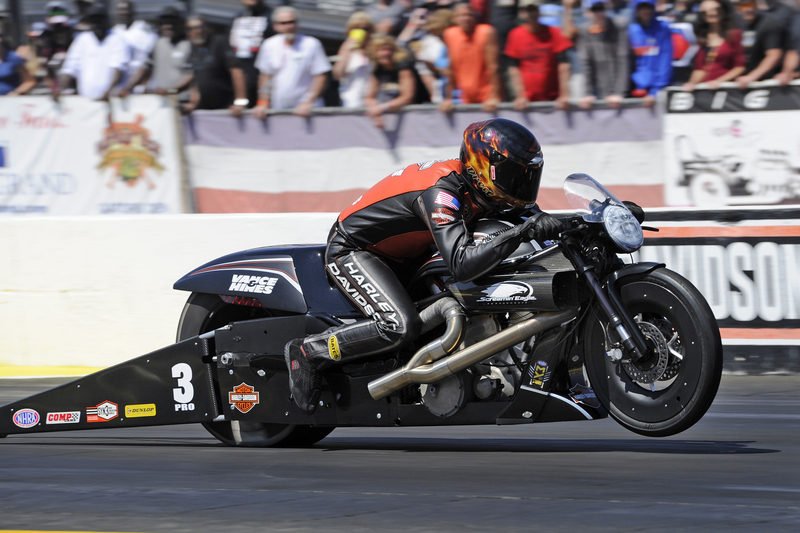 Teammate Eddie Krawiec sealed up the second position with a 6.836 at 195.00 in his Screamin’ Eagle Vance & Hines Harley-Davidson, as he will take on Mark Paquette first on Sunday. Reigning world champion Jerry Savoie rounds out the top three after his 6.838 at 196.10, as Savoie will go up against Melissa Surber when eliminations get underway. Eliminations begin at 12:00 p.m. on Sunday. Catch the action live on FS1 beginning at 2:30 p.m.